Divi Theme reviews. View reviews of the Divi theme by Elegant Themes. I obviously like the Divi Theme and give it good reviews, as I set this website up to showcase sites made using it, but what are others saying about the Divi theme. Here are a few Divi Theme reviews I came across online. As you can see Divi is getting some pretty good reviews from around the web, helping it become the hugely popular WordPress Theme is it today. And with the much anticipated release of Divi 2.4 just around the corner, I think there will be much more praise for Divi and Elegant Themes to come. What do you think of Divi? Drop your comments in below. The ability to create a completely customized look for your site is where Divi stands out as a WordPress theme. You can do just about anything imaginable, simply by toggling options on and off. You have full control over colors and fonts, and the layout options provide infinite possibilities. If you don’t know how to code your own WordPress theme, but you want a beautiful custom website, Divi may be just the theme you’re looking for. 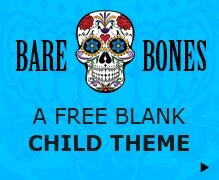 A whole new meaning of WordPress Themes, probably the most quick and easy way to build a website. 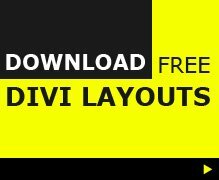 Divi is an impressive multi-purpose WordPress Theme for all your projects, it’s recommended for both average WordPress user, and developers who build websites for their clients. It ships with an excellent Page Builder with Predefined Page Layouts. Divi Theme is revolutionary by all means. The price is right for this powerful and beautiful theme, and site owners and designers who want to put together a quick, eye-catching agency or portfolio site will likely want a copy for their arsenal. But for seriously custom, complex, or magazine-style websites, Divi probably isn’t the ideal foundation. I think Divi is a very nice theme for what it’s intended to do: create beautiful websites quickly and without the need for code. I’ve used it for family/friend projects and I’ve done work for clients who needed custom templates and such for their content within Divi. Divi is a slick theme with just the right about of features to help you accomplish what you need to. You can customize what you need to and have peace of mind knowing that whichever device your visitors use – your website will look great. ElegantThemes has really pushed the boat out with Divi, and we expect that many of the fantastic layouts, ‘modules’, groovy looking effects, and practical functionality will be used to freshen up the already very smart ElegantThemes line. Divi combines great looks with a wealth of impressive features to deliver a truly useful WordPress theme. A great range of page templates and an easy to use page builder will suit both those looking for an out of the box solution, as well as those who want to create custom designs without coding. Elegant Themes has really pushed the boat out with Divi, and we expect that many of the fantastic layouts, ‘modules’, groovy looking effects, and practical functionality will be used to freshen up the already very smart Elegant Themes line.